This video contains the synthesis of the cooperation project between GH and Peera lehoakarniyon. Corporate video of Smarktec showing a GH Bridge Crane with a 10t lifting capacity hoist. Video demonstrating the operation of the energy recovery plant in Mallorca, where GH CRANES & COMPONENTS overhead cranes are installed. Ikerlan has partnered GH in the enhancement and optimisation of the personalised after-sales service of its cranes. The production of voussoirs is in progress. Corporate video for the company Arri S.Coop. in which GH CRANES & COMPONENTS bridge cranes are seen in their facilities. The company Batz installing with bridge crane of GH Crane & Components. 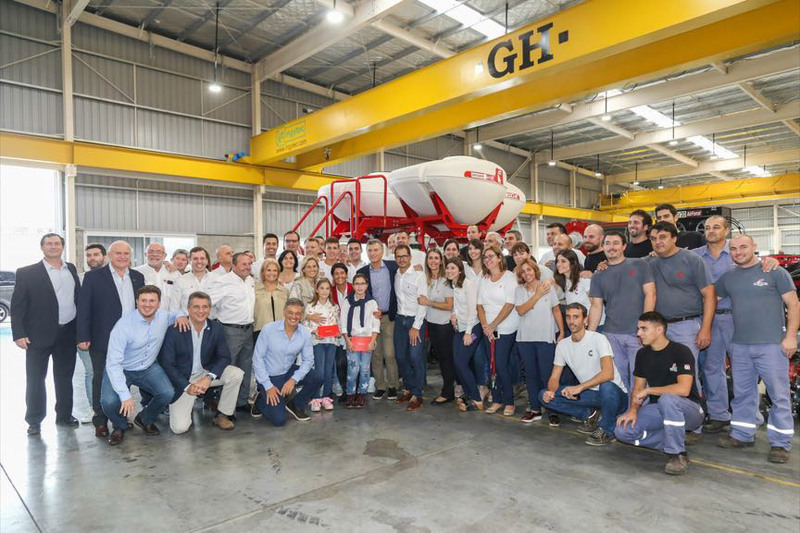 The Argentine company Crucianelli was visited at its premises, where GH Cranes & Components overhead cranes are installed, by the president, Mauricio Macri. Report on Megarob by Euronews which talks about the biggest robot in the world that has been built in the technology centre in Zaragoza with the collaboration of GH CRANES & COMPONENTS bridge cranes. Acciona video in which the tunnel boring machine (TBM) Carolina carries out work on the Quito Metro in Ecuador with the help of GH CRANES & COMPONENTS bridge cranes.